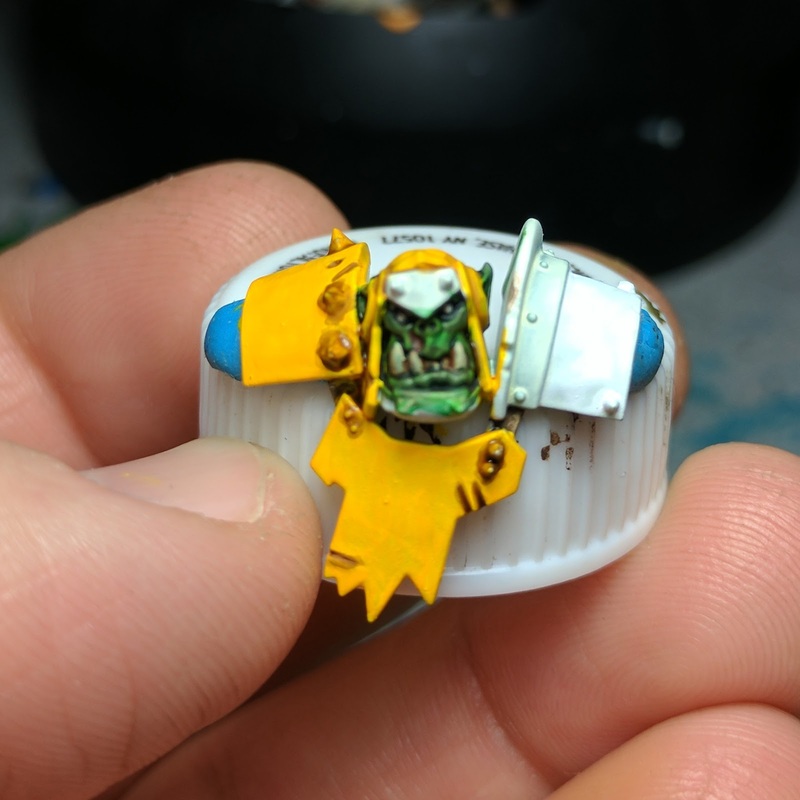 A White primer coat is a big deal for this, the yellow works best with a white undercoat than a black undercoat. After doing all the prep work and priming the model with Corax White, we base coat the armor plating with Yriel Yellow. You'll want to do a few thin layers for even coverage and thanks to the nature of the yellow paint, it may take 3-4 coats. 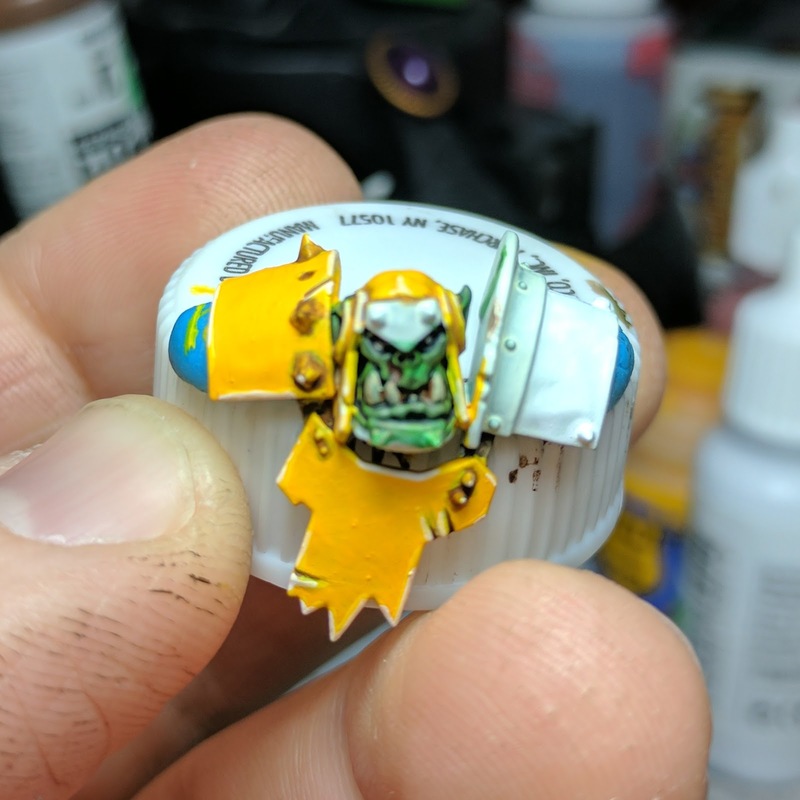 With the base coat dry, we do a controlled wash of Agrax Earthshade in all the seams and around all the rivets. 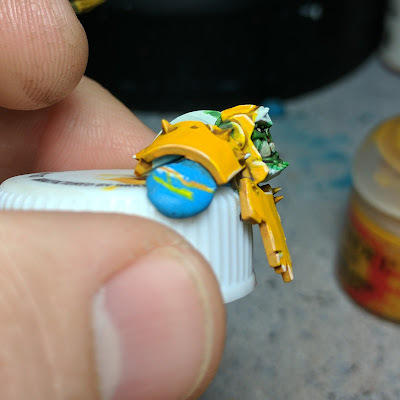 We don't want to cover the entire surface with the wash, because we would need to add more layers of Yriel Yellow to the surface. Don't worry about being messy though, we'll fix it up in the next step. Note: I actually made my wash a little too dark in this picture. Once the Agrax Earthshade is dry, touch up any areas where the wash spread to wide or ran away from the target area. 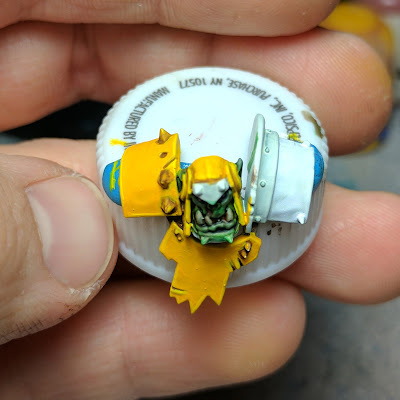 If you need to, you may need to do a couple coats to cover the dark color of the wash.
Next up, we want to highlight the edges of the armor plates with Flash Gitz Yellow. Edge highlighting can be daunting, but if you drag the side of your brush, rather than the tip of the brush, over the edge of the armor you'll get a nice smooth line. Similar to the previous step, we want to do the same with White. But for these highlights we want shorter length lines that the ones we did for Flash Gitz Yellow. We want them to reinforce the idea of light reflecting off the hard edge, without over powering the lighter yellow. The shadows are the next step. 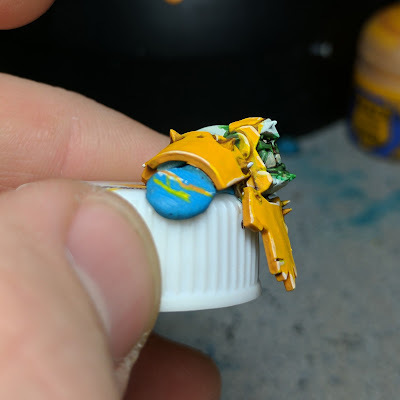 For this we use Averland Sunset and paint all of the shaded areas. So the bottom edges of the armor plates, the bottom half of knee pads and anything that should be in shadow. 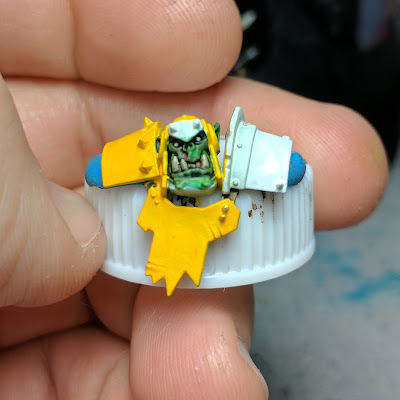 This also helps clean up any Flash Gitz Yellow and White that strayed over the intended areas. Now we go over the Averland Sunset with Agrax Earthshade. 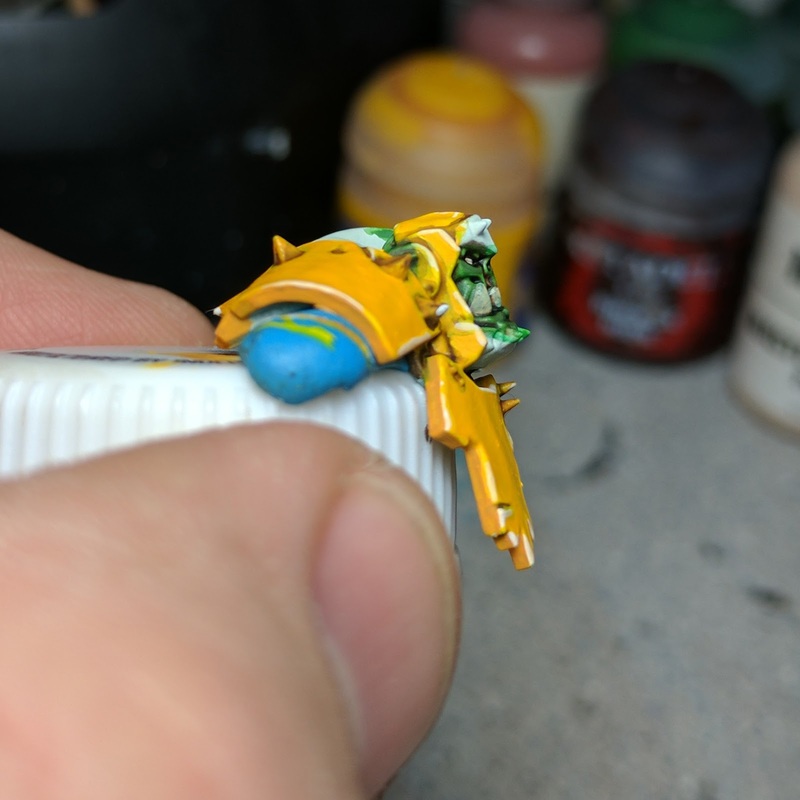 For this wash we want to cover all of the Averland Sunset with the Agrax wash. Finally, touch up any areas where light should be reflecting a little bit with Averland Sunset. This will help the shadowed sections a little bit by giving the areas some variation of color. And that's it! 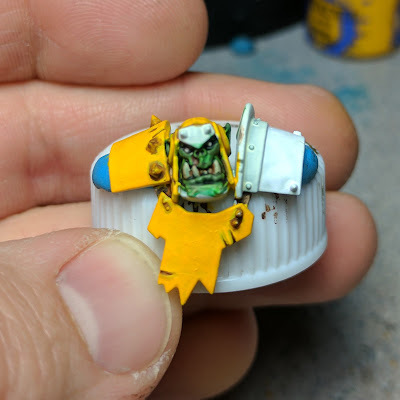 A nice bright yellow. With a few extra details and the miniature all finished, it looks really good!  I hope this tutorial helped you with your own painting. If you've seen me working on a project on Twitter or Instagram and have a question about how I do something, feel free to ask! I'm always game to help. I may even do a full tutorial on it! That is very vibrant, my man! Reminds me of 2nd edition along with the checks. You calling them the Bad Moons? Great tutorial Scott. Going back with the Averland Sunset was a genius idea to help reinforce the darker yellow areas. Thanks! Ya, I actually think you could skip the last step completely and it'll be fine. 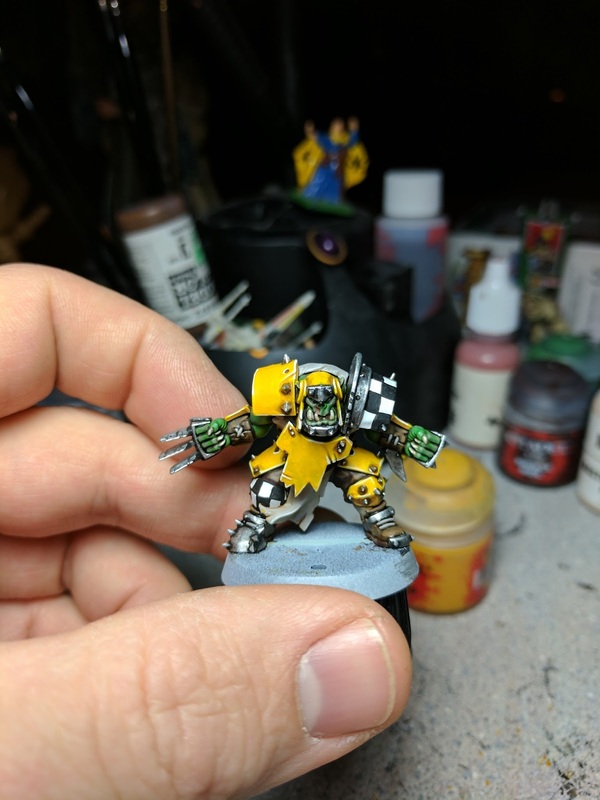 At first I played with the idea of base coating the yellow with a midtone brown wet blended up to white, but decided it was too much work for something that is for gaming. Maybe for a different project.